Del Mar Beach Colony condos are located in the north section of the coastal community of Del Mar, California. 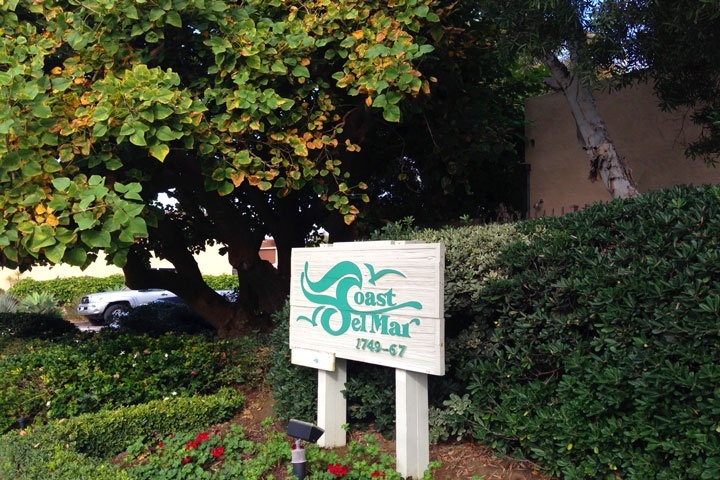 The community known as Coast Del Mar are condos located about 2 blocks to the beach and offer many condos for sale and for lease as vacation rentals. The condos have underground parking spaces and can rent as high as $4,000 a week in the summer time. The community is under a homeowners association with monthly dues that typically average $695.00 a month which includes trash pickup, water, sewer, exterior building maintenance and the community gated entrance. This is a great beach close location and is ideal for real estate investors looking to rent these condos during the high season months. Below are all the current available Coast Del Mar condos for sale in Del Mar. Questions regarding this community and any of the condos listed here? Please contact us at 888-990-7111 today.